This article is the second part of our conclusions about the lessons we learned for the coming week. Part 1 focused on explaining why markets sold off all last week on fears of a good jobs report, yet then rallied on that very news. Initial results for the holiday shopping season were not good. Although the total number of shoppers rose, deep discounting meant they spent less on an individual and aggregate basis. Per Bloomberg, spending over the Black Friday weekend showed the first decline since 2009. Purchases at stores and websites dropped 2.9% to $57.4 bln in the four days beginning with the Thanksgiving holiday. Still, that’s just 4 days out of a roughly 30 day shopping season, 60 days if you count the post-New Year’s sales (a reasonable approach, given that many of the more price-sensitive shoppers wait for January clearance sales). The NRF still expects sales for the combined two months to increase 3.9 percent to $602.1 billion. That’s higher than the 3.5 percent pace in the previous year. As more and more analysts and financial institutions release their 2014 forecasts, a common message is the return of a non-crisis market and the end of any potentially imminent market crash threats. All acknowledge that the EU crisis, a China hard landing, a Japanese relapse into recession if Abenomics fails, Congressional gridlock, a potential interest rate spike when the Fed’s QE taper starts, and geopolitical risks are still potential trouble spots, but that the overall threat level has dropped. In other words, it’s no longer enough to just bet against a crisis, you have to find the growth stories that are out there. Recapitalize or close banks that fail the coming stress tests in a way that distributes the costs yet maintains market calm. See here for details. Since that post, there has been no progress on this front. Stay tuned for a planned update. Fund possible new bailouts to Portugal, Slovenia, or others. Wednesday’s release of Euro-zone services and composite PMI surveys showed the same story as the manufacturing PMIs from Monday, and of most economic data out of Europe. Overall modest growth, but the growth is almost all from Germany while the rest, including the France, Italy and Spain, the second, third, and fourth largest economies in the EZ after Germany, stagnate or decline. More specifically, Eurozone services PMI slipped to 51.2 in November from 51.6 in October, while composite output fell to 51.7 from 51.9. Composite PMI in Germany, Ireland and Spain grew but contracted in Italy and France. 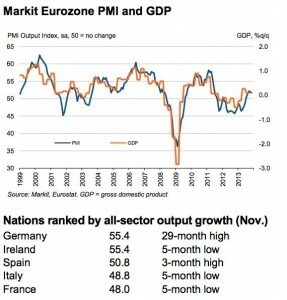 Per Markiteconomics.com, the Eurozone recovery “lost some momentum in November…It’s clearly a concern that the rate of growth remains so fragile.” The survey indicates that the EZ’s economy will grow by just 0.2% in Q4. The Eurozone economy grew 0.1% quarter-over-quarter in Q3, in line with consensus analyst forecasts. GDP declined by 0.4% year-over-year, also in line with market expectations. Retail sales in the Eurozone fell to 0.1% year-over-year in October, and economists were looking for a 1.0% bump. Also, as noted above, progress has stalled on plans to support (or close in a way that doesn’t cause a market selloff or bank runs) EU banks that fail the coming ECB stress tests. Germany won’t even have an official coalition that can approve a deal for about another 2 weeks. Even when it does, the Germans have indicated that they want each nation to be responsible for its own banks. That plays well to German voters but isn’t an especially realistic approach if they want to avoid another EU crisis. We’ll have more on that in a coming article. After the prior week’s fireworks (China declaration of ADIZ, US flying B-52s there unannounced) there was calm during US VP Biden’s visit to the concerned parties, as well as to South Korea, likely served to focus their energies on the visit and avoid complicating it with new escalations. The quiet didn’t last. On Sunday December 8th, Chinese coast guard ships entered the 12-nautical-mile territorial waters around the islands. The islands have been under Japanese control since 1895. Then in 1969 there were reports of possible undersea oil reserves in the area, and in 1971 (surprise! –not) both Taiwan and China suddenly claimed sovereignty over the islands and their related mineral rights. China did little beyond that until September 2010, when a Chinese fishing boat rammed two Japanese coastguard patrol boats, officially beginning the modern era of dispute. The lesson here is that we must add this dispute to the list of potential black swan events that could flare up when China believes the timing advantageous due to some shift in strength or commitment to defend these islands vis-à-vis the US and Japan. The game of chicken (or manifest destiny’s 2013 release?) will be an ongoing story and lurking black swan event for both Japan and the US, which has a suddenly rather inconvenient defense pact with Japan. The time approaches when the US will have to choose between preserving its military credibility in the region, and enduring the political and economic costs it entails. Japan might want to ask America’s Middle Eastern allies about where this is likely to end up, given the recent Iran nuclear capitulation deal. As China’s economic influence grows, expect it to continue to use it as leverage over its neighbors. Speaking of which, on a related note…. This development isn’t an imminent market mover but is very much worth noting. Per a Bloomberg report last week, SWIFT, one of the leading global transactions organizations, reports that the Chinese Yuan (CNY) has overtaken the EUR as the second-most used currency in global trade finance. The Renminbi took an 8.66% share of letters of credit and collections in October (compared to just 1.89% as recently as January 2012) vs. 6.64% for the euro. This is just the latest sign of China’s success in steadily internationalizing the currency. The government intends to take more steps as part of a major economic reform plan, such as by loosening forex controls. Demand for the CNY will continue to grow along with China’s growth (7%+ in a bad year, while the US would be delighted with 3%+, Germany with about half of that) and this trend is not expected to change. It’s just a matter of time before the CNY holds the #2 rank for most actively used currency permanently because trade with China will only increase, even if (worst case scenario) at a somewhat reduced growth rate from the past, as the economy becomes more balanced between production and consumer spending. USD’s status as reserve currency is being slowly eroded: China continues arranging trade deals with trading partners that avoid the need to use the US dollar. You can’t blame them. This is a rational response by China and other exporters who hold large fx reserves and are understandably anxious to reduce USD exposure, given the obvious fact that that maintaining the USD’s value is clearly not a priority in Washington. While actual trading in the CNY remains miniscule compared to the majors, its use for trade as a contract currency is increasing rapidly as China and other exporters search for ways to remove exchange risk posed by Washington’s policies and reduce the use of dollars. Individual investors may be unaware of the Fed’s long term and ongoing erosion of the USD’s purchasing power (see here for details), or they may feel they can’t do anything to protect themselves. However the Chinese, other manufacturing and resource exporters, their sovereign wealth funds, and other sophisticated investors have the knowledge and resources to protect themselves from the Fed’s (or ECB’s or BoJ’s) stealth tax. Actually, you too have the means to follow their lead, and you don’t need to hire expensive advisors, open overseas brokerage accounts, or spend years becoming an expert in currencies or currency hedging. Seehere (outside the US) or here (in the US) for details on an award winning, comprehensive layman’s guide to a range of low risk, simple ways to make sure portfolio is linked to currencies that will be better long term stores of value. 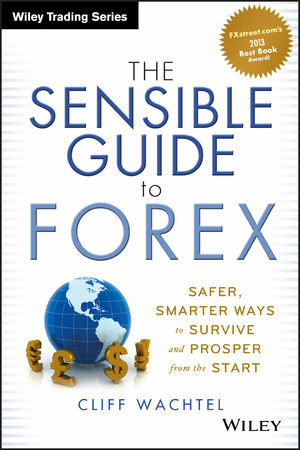 For the second time since its publishing, I’m proud to announce a new introduction to forex video course just released by FX Academy, based in part on my award winning book. It’s still being offered for free during the launch period. So if you ever wanted a simple no cost video intro to forex, this is your chance. See here for details. Here’s another chapter in the quietly growing rebellion against the sovereign stealth fiat currency tax abuse practiced by the Fed, ECB, JPY, etc. The rise of digital currencies (there are many, Bitcoin and Litecoin merely being the most well know) is yet another response to the demand for currencies beyond the reach of sovereigns to easily debase (also control, monitor or regulate). As recently as February 2013 it was under $50, as recently as mid-October it was under $150. It and since then has exploded to over $1200 as of late November. Last week China severely restricted it, and it has since dropped below $900. Highly speculative and volatile – as of this writing bitcoin has lost about 50% (not a typo) in the two days since China banned the PBOC from accepting it and severely restricted its use, falling from $1155 to $576. See herefor details and commentary. The hard money stable or increasing store of value that the digital currencies are striving to eventually provide. Despite these rather daunting flaws, mainstream experts far smarter than I (Ben Bernanke, BofA’s David Woo, the Winklevoss twins, etc.) are acknowledging its potential, and some are risking funds, investing in ways to profit from it. The cost of the hardware and related costs just to get started for mining bitcoins profitably is many hundreds of thousands of dollars at least, and is rising as rising prices attract more competition with more expensive equipment and technical people. This suggests that the necessity for some form of ‘hard’ money that can be relied upon to hold its value will eventually become the mother of its invention, whatever its form. That said, I read someone compare digital currencies to the pre-1990s internet. Limited use, lots of kinks to work out that make it impractical for most of us at this time. The key lesson here, as above, is that there is legitimate need for a store of value that, unlike most fiat currencies, governments can’t easily expropriate via infinite physical or electronic (in the case of QE) supply expansion. As our sample of leading US and global stock index weekly charts below shows, the global risk asset uptrend remains in force, especially in the US and Asia. Europe pulled has back a bit, but only to its 200 day/10 week EMA, which by itself is not enough to call the rally in European shares into question. Thus even in the Europe, the rally remains unbroken. 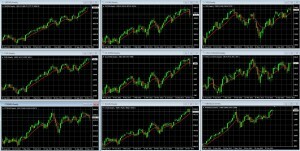 In the near term, news related to taper speculation (most top tier US data), the EU, the Japan/China Disputed Islands are the likely market movers. Longer term, not the common denominator between lessons five and six. The US dollar, Euro and Yen (we would include the GBP as well) all face longer term challenges. If you’re tied to any of these, you need to find guidance on how to hedge your very real currency risk.